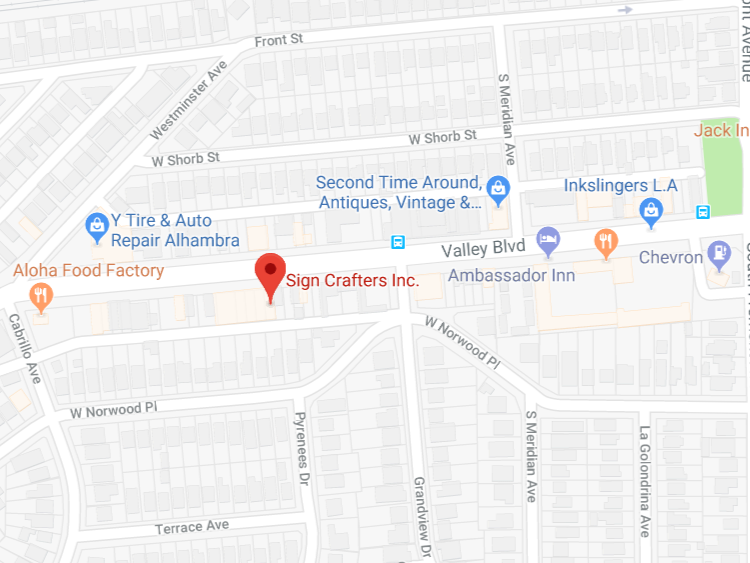 VISIT US - Sign Crafters Inc.
Sign Crafters is located in the city of Alhambra, CA and we service the surrounding Los Angles area as well as the outlying Southern California region. We are fully licensed and bonded. All of our work is guaranteed. Visit us to get a free estimate for your next sign design project. We would be more than happy to work with you.